Are you confused about which type of forklifts you want to buy? Why do you have this distraction to the idea? Just because you don’t know which type of attachment will best fit the forklift? You don’t have to worry about anything as the vehicles that our company sells can be well adjusted to any kind of accessory. Our service and maintenance team at Truck Forklift make it their first priority to have the machinery fit for any type of attachment. You can rest assure that the forklifts that we have are reliable and take special care of. What are the Uses of Attachments? The various attachments that are available for the forklifts have different uses. The different types are mentioned below so that you can choose the one you want to use for your business. When the forklifts were not invented; people transported items and materials by carrying them on their hands or back. At times these were heavy which caused health issues. But now heavy objects can be easily transported from one place to another. There are various attachments that are capable of taking the material to very high places and without causing any damage either to the material or the people working around. Not only items but also people can be carried to other places. There are many tasks that can only be done by humans like cleaning windows on skyscrapers but ordinary ladder can’t reach to heights so for this purpose forklifts are attached with cranes and person bucket to carry people to different heights. Several industries are in the business that deals with hazardous materials. It is very dangerous for the workers and employees to handle them on their own, so forklifts can be used for this purpose. The driver of the forklift sits in the safety of the cabin and can move the items without causing disturbance and any type of accident. There are accessories used to pull and push the material at the same time. In addition, the objects can be moved as well along with the pushing and pulling. Clamps can hold the inventory perfectly between two brackets and you can rotate it up to 360°. You can attach several clamps that will serve you various purposes in and out door. Rotators are attached to make the other accessories turn. These include that could rotate as the driver pleases, plus they can lift objects in difficult places. Forks have the basic purpose of lifting heavy items to various heights. The forklifts can have two, three or four teeth to balance the objects. Shovels are used in construction work but they can also be useful to clear out debris, snow and other obstructions. Jib crane can be attached to take materials and people to higher places where human arms can’t go. Not only items but also people can be lifted for different jobs. Sideshift is used to move objects in a horizontal direction. You can use either one or both arms of the attachment. 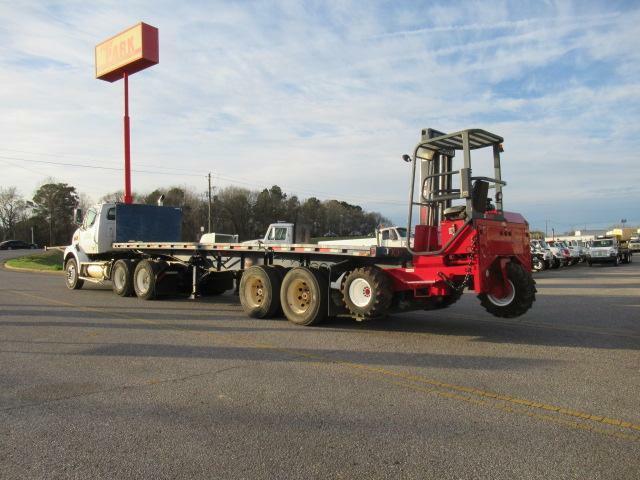 So you can see that all types of attachments can be fixed to the Moffett forklifts for sale. You can further contact us to have more info on what attachments will best suit the type of forklift you want to buy. You can visit our website https://truckforklifts.com/ at any time for more info on the location, timings and other contact related data.